The 34.17 metre sailing superyacht Spiip has returned to her home yard for a winter refit. The German Frers-designed Royal Huisman superyacht arrived at the Netherlands-based refit facility Huisfit after completing a summer cruise in Scandinavian waters. 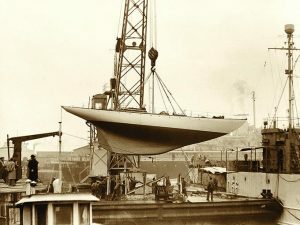 Spiip is one of seven yachts currently being refitted at the Dutch yard over the winter period. Improvements scheduled to take place on Spiip includes service work and various electric and electronics upgrades. Delivered in 2000, Spiip features an interior design by Stirling & Co and can accommodate a total of six people with five crew members. 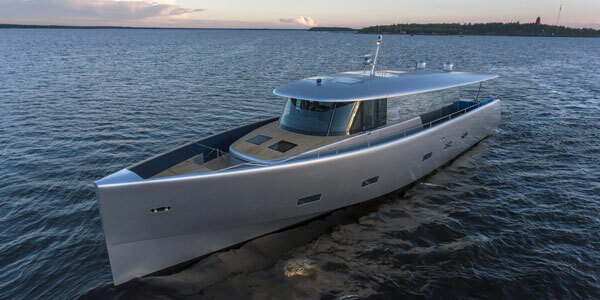 She has a top speed of 11 knots, with power coming from a 415.0hp MTU 6R183TE72 diesel engine. 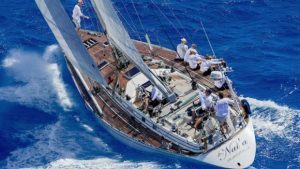 Fjord III, the iconic classic yacht designed by Mani Frers’ grandfather Gérman Frers Snr won her class at the recent 200-boat strong Regatta Royal in Cannes. 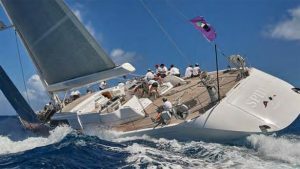 Designed and built in 1946 for his own pleasure, this 50footer is still very much a family heirloom, for Mani’s father Gérman Frers saved her from oblivion and had the yacht restored to her former glory. And it was Gérman Frers, seen here at the helm who steered her to victory in the Marconi rig class. 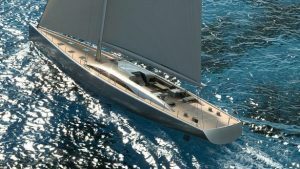 Fjord III is one of the cornerstones in the history of the Frers design dynasty. Her build began in something of a rush for Frers Snr. 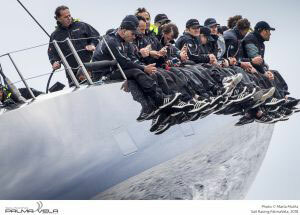 set himself a three-month deadline to launch the yacht in order to compete in that year’s Buenos Aires / Rio race. He missed the start by 47 hours but promisingly set the fastest elapsed time to Rio. Two years later, she won the Race outright and went on to win her class in the 1954 Bermuda Race. 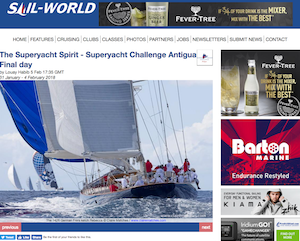 She might have done even better in the 1952 Bermuda Race had politics not got in the way. While Fjord III was being loaded on a ship bound for New York, Evita Peron saw the yacht’s graceful lines more as a billboard and decreed that she must carry her political message to America along her top-sides. When Frers Snr refused to comply with the order, the yacht’s export papers were suddenly withdrawn and Fjord III was transferred back on the dock. If you have ever been seasick it is something that you don’t forget in a hurry, and if you haven’t, you are one of the lucky ones. A boat that is rolling about can not only produce seasickness, but it can also cause difficulty in moving about, and even lead to serious falls, to say nothing of the broken dishes. This is why we set such store in all-weather stability with all out yacht and motor yacht designs. 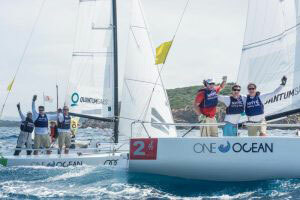 The final day of the Audi Invitational Team Racing Challenge saw Newport Harbor Yacht Club clinch victory ahead of the Yacht Club Costa Smeralda (YCCS) and the New York Yacht Club – placed second and third respectively. 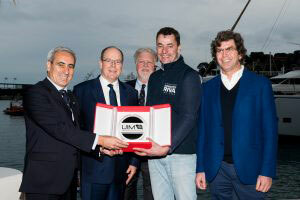 Ernesto Riva and his team have been presented with a special Award by the Union Internationale Motonautique (UIM) for the the Frers designed 7m Cantiere Ernesto Riva e-Commuter hybrid powered motorboat. The presentation was made at the UIM’s annual awards in Monaco on 17th March, and acknowledged the design’s sustainable development in combining modern electric power with traditional wooden good looks. 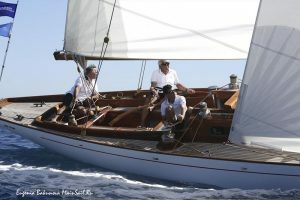 German Frers and his son Mani are amongst the most popular and revered yacht designers of their era.